The team at Accelerate Physiotherapy has a wealth of experience in a wide range of specialities and treatment methods. Be it a sports injury, workplace injury or rehabilitation from other illnesses or conditions, Accelerate Physiotherapy will do their best to get you back to maximum recovery as soon as possible! With over 40 years experience as a practicing physiotherapist, founding director Lindsay really has a wide-ranging understanding of physiotherapy rehabilitation. Always one to keep up-to-date with research and new techniques, Lindsay has embraced some of the newer treatment approaches such as acupuncture and pilates-based exercise rehabilitation to add to her toolkit of therapy to offer clients. 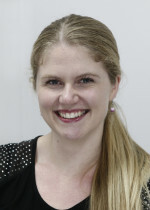 Lindsay has a special interest in occupational health, work rehabilitation pain management and manual therapy. 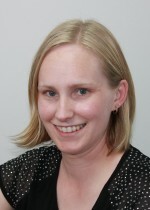 Lindsay has also worked extensively in the treatment of chronic pain and has published research in the New Zealand Journal of Physiotherapy on the topic. Away from physiotherapy, Lindsay participates in a diverse range of sports including golf and cycling and loves to hit the ski fields when she gets a chance in the winter. Between that and spending time with her extended family, Lindsay is always "on the go"! 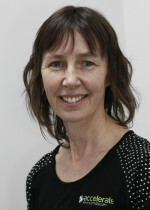 Andrea has gained a wealth of experience over the last 20 plus years that she has been practising as a physiotherapist. She joined the practice in 1998 and has been a Director of the Company since then. She has extensive experience dealing with all manner of physical rehabilitation and has a keen interest in dizziness/vertigo problems, physiotherapy for children and head injuries. An avid runner, Andrea was the 2001 winner of the Kepler Challenge women's event and has trained and competed for numerous running events over the years. These days however, most of her running is done keeping up with her two children rather than for any specific event! Alana has been a qualified physiotherapist for 11 years and over that time has worked in hospitals in the UK, as well as private practices in New Zealand. Alana became a Director of the Practice in 2011 and is the resident PINC physiotherapist for women who have had a cancer diagnosis. She has recently introduced a new group exercise programme called Next Steps to the clinic for women who have finished their cancer treatment. Alana has a real passion for sporting injuries and has worked with a number of sports teams including NZ Men's Netball Senior & Under 23, Woodlands Premier Division Rugby, Southland Netball Under 17, 19 & 21. She is a keen advocate of Pilates-based rehabilitation taking 3 Pilates mat classes during the week, and continues to up skill her acupuncture practice where she has recently completed a course in cosmetic acupuncture for minimising wrinkles. Outside of work, Alana enjoys netball, and running, in between coffee dates with her 1 year old daughter Lily. 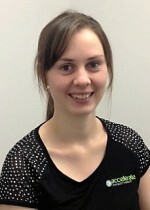 Originally from Glenorchy, Lucy graduated in 2010 with a Bachelor of Physiotherapy and gained her first clinical experience in Christchurch before taking up this role with Accelerate Physiotherapy in Invercargill. While expanding her clinical experience over the past few years, she has continued her professional development by becoming a Pilates instructor and furthering her knowledge and treatment of the neck and shoulder area. She has a particular interest in neurological assessment and treatment and currently runs an exercise programme for the MS Society. Sporting injuries is a large component of her work and she relishes the challenge in treating all sorts of sporting injuries. 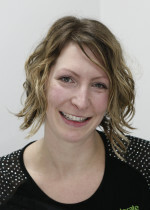 Andrea has 10 years experience as a Physiotherapist. Over this time she has worked in private practice as well as in an occupational health rehabilitation setting. Andrea has worked with a number of premier and representative rugby teams, plus elite athletes in a number of sports, and has a keen interest in treating and rehabilitating each person back to their sport. Andrea has gained a high level of experience in completing workplace assessments and developing return to work plans to assist with a safe and appropriate return to the workforce following injury. She is working towards her Polestar Pilates Certification. Outside of work, Andrea enjoys playing netball and spending time with her two young children Cooper and Paige. Tessa recently graduated from Otago University in 2014 and gained her initial clinical experience working for the Southern District Health Board prior to joining the Accelerate Physiotherapy team. 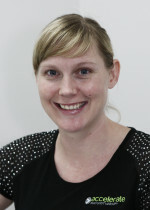 Tessa is passionate about utilising research-proven methods of injury rehabilitation. 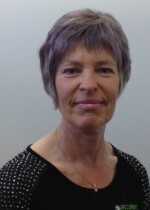 She has a particular interest in neurological rehabilitation and women's health. Outside of work, Tessa enjoys swimming, going to the gym and spending time with friends and family. 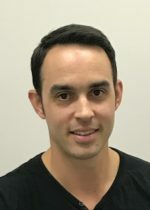 Joel has been practicing physiotherapy since 2009 after graduating his double degree in Physiotherapy and Exercise Science from Griffith University in Australia. Prior to moving to New Zealand Joel was involved in the health industry working in private practice as a Physiotherapist, Exercise Scientist and Master Trainer with Fitness Australia. In 2011 he moved to Invercargill with his family and began working for the Southern District Health Board. Joel’s key interest are sporting based with a focus on general sports related rehabilitation and prevention but more specifically running biomechanics focusing on technique and efficiency, breathing pattern disorders in athletes and cycling and multisport related injuries. Joel also practices western training dry needling and has done for the past 6 years. Outside of work Joel enjoys keeping fit with running and cycling and is a keen hunter. His favorite out of work activity is spending time with his three awesome children. Lena has 12 years' experience as a physiotherapist. She has recently joined us from a practice in Dunedin. Lena is working part-time at Accelerate Physiotherapy, as well as being a clinical educator for 4th year physio students from Otago University, at the hospital. She is a credentialled McKenzie therapist, which means she has had extra training in back and neck care. Lena is a registered acupuncturist and has also completed training in the Bradcliff method which helps with breathing disorders and other respiratory issues. Outside of work, Lena is kept busy with her 3 children Isaac, Toby and baby Leo who was born in October. Judy has been with the Practice over 13 years so has a good knowledge for answering your queries regarding ACC, Pilates Programmes including PINC Pilates and any other general questions you may have about booking appointments, fees etc. She has also completed a Nordic Walking Instructors Course! 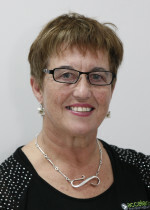 She was awarded the 2015 Pride of Workmanship Award from The Rotary Club of Invercargill Sunrise for dedication and commitment to excellence in the workplace. 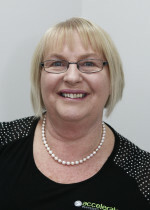 Judy enjoys aqua jogging, Nordic walking and loves a coffee or a nice wine with friends. She enjoys seeing grandson, Hunter, grow into a happy little toddler and the delights that brings. Dariel joined our practice as a part time receptionist. She has a strong focus on customer service and she is able to answer any general enquiries that you may have regarding booking appointments, ACC, fees, etc. Dariel is actively involved in the Inner Wheel Club of Invercargill. She spends her free time relaxing with her husband Geoff at their crib at Fortrose.